Subscribe to Viktor Kerney's Feed Send a note to Viktor Kerney. Viktor Kerney has been a Project Contributor since August 2011, has written 74 entries and currently lives in Los Angeles. 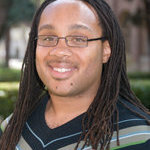 Viktor Kerney is a writer, blogger and activist. He serves as the Co-chair of the Jordan Rustin Coalition, an organization devoted to the empowerment of the LGBT African American community in Greater Los Angeles. In his spare time, he runs the blog "Maybe It's Just Me..." (southern4life.blogspot.com) where he talks about life, politics, comic books, horror movies and the LGBT movement. Viktor currently resides in Los Angeles and is working on his first graphic novel.